When it comes to shopping we all like to believe that we have made the smartest choice, and if deep down inside we know that most probably it was an impulsive splurge; our egos will only be comfortable when we convince ourselves that it was utterly necessary and not at all reckless. After spending years trying to figure out what the best items to splurge on and what to skimp on; I have concluded a couple of points that I consider key to any fashion lover and shopping addict out there. For starters, the number one rule of thumb is to focus on spending mainly of items such as shoes and bags. These items are bound to be carry-ons from one year to the next, you would not want to spend some money on items you know you will carry for just one season and need to pack away the year after in hopes that one day they might turn vintage. As for clothing, a jacket is as important as a pair of shoes or a bag. For everything else, a simple tee or a pair of ripped boyfriend jeans are constantly renewed, spending on these items is not the smartest decision. For day to day clothing think wisely before choosing. You do not want to look back and regret your purchase; always remember your feet and hands speak the loudest! 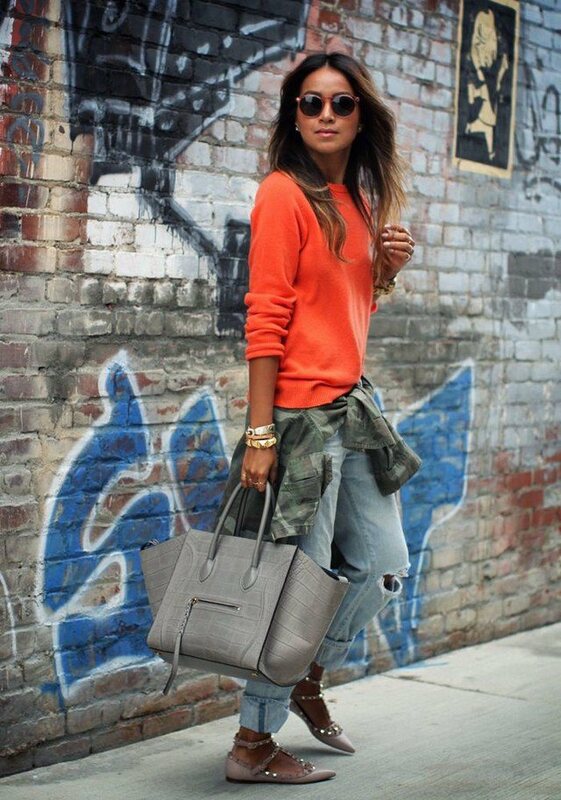 Focus on those shoes and that bag and any simple outfit is guaranteed to turn heads. With a little bit of statement accessories; rest assured you will be turning heads happily and comfortably; both for your ego and your wallets.